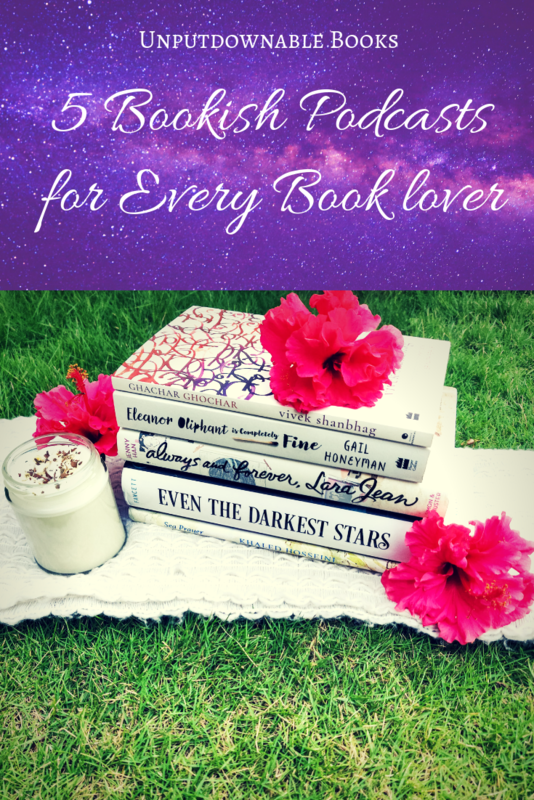 Top Ten Tuesday was created by The Broke and the Bookish in June of 2010 and was moved to That Artsy Reader Girl in January of 2018. It was born of a love of lists, a love of books, and a desire to bring bookish friends together. How it works is that each Tuesday the host assigns a topic and then posts their top ten list that fits the topic. Every blogger can create their own top ten (or 2, 5, 20, etc.) list as well and link to the host’s. The topic for March 26th, 2019 is: Audio Freebie, so I’m going to talk about My Favourite Bookish Podcasts. This fun and engaging podcast is run by two sisters, Justine and Julia. I know Justine from her book blog and Booktube, so I decided to support her new venture as well when she announced this and that’s how I discovered the wonderful world of bookish podcasts. Julia is a successful romance and women’s fiction author, so they both provide an amazing combination of a reader and a writer’s perspective of the publishing world. As they both have very different reading tastes, each episode comprises of them recommending a book that the other has to read. Kelly Jensen, a retired librarian and YA expert, and Eric Smith, YA agent extraordinaire and full-time dad, team up to bring the best of young adult literature with this podcast. They pick 1-2 topics to discuss in each episode and provide some really cool book recommendations based on them. I love how they champion diversity and have a ton of recommendations for the narrowest of categories. This one is sure to make your TBR explode and if you’re a YA book blogger, this is a goldmine of information about the YA publishing scene. I stumbled upon this one through the Reading Women Challenge they host every year. This podcast is dedicated to shining the light on the women in the publishing industry and is hosted by Kendra and Autumn. Their content includes a mix of interviews with best-selling authors, recommendations and discussion on their current reads and anticipated releases. I think anyone regardless of gender will have their eyes opened through the conversations on this podcast. This is one of my favourites yet very underrated bookish podcast. It focuses on Asian literature for all age ranges and is spearheaded by Marvin Yueh and Reera Yoo. This is also a book club and they pick a variety of books, both translated and written in English, as their books of the month. What I love about their content is that in addition to the monthly episode discussing the book club pick, they also have a mid-month episode in which they discuss book deals, new releases and the latest news from the Asian lit community. I’m so happy that an SFF podcast is run by two very talented and passionate women, Jenn and Sharifah, because this genre was a very male-dominated space until recent times. Their episodes have a news and general check-in segment and a recommendations section. As an avid fantasy lover, this podcast has significantly added to my TBR since I started listening to it and has also encouraged me to step outside my comfort zone to try more sci-fi. Stars and Sorcery, the monthly SFF book club that reads works by authors of colour, is partially inspired by this. If you are even remotely interested in speculative fiction, this podcast is a must-listen. Do you listen to podcasts? 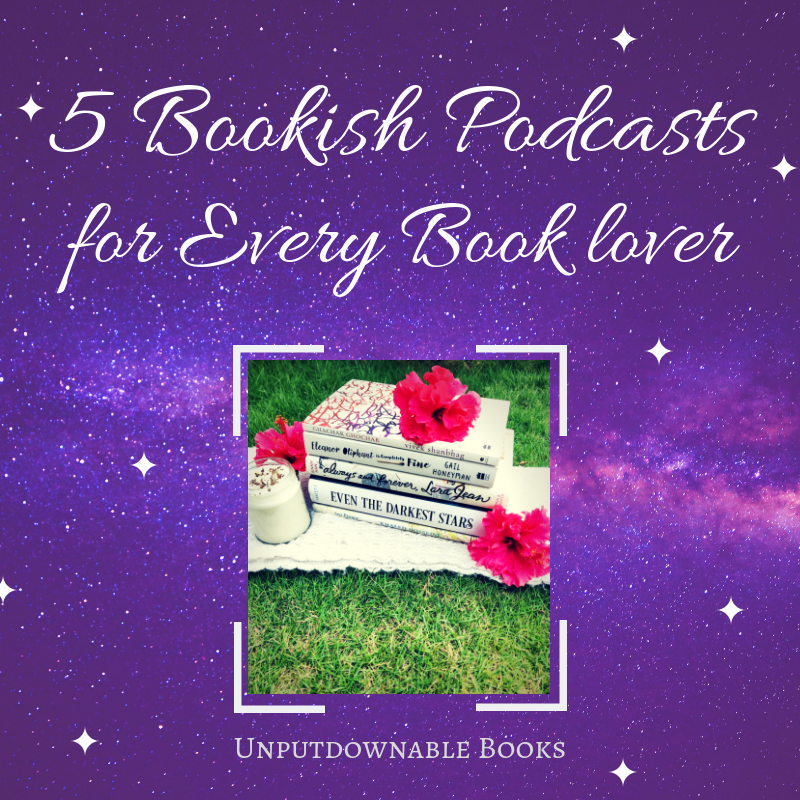 Have you tried bookish podcasts? Do you have any recommendations for me? Let’s discuss in the comments section below. I just started listening to SFF Yeah recently and really like it, great list! I love your take on the topic! Some of these podcasts sound amazing, how do you listen to them? Are they on YouTube? I’m so glad you liked this, Hannah! 🙂 I listen to them on Google Podcasts, which is a free app. You can also use Spotify, Apple Podcasts or Stitcher. I will check out your list ASAP! Ooh that’s cool, is that Google play but with the podcast bit? I have googled that a bit and it seemed to only be available in America? Thanks! In American they’re rolled into one I heard (but not totally sure) ooh I’ll look for the podcasts one then, thanks! I need to try listening to one or two of these. They all sound really good. Great list. I rarely listen to podcasts but I’ll have to make sure I try these ones. Great recommendations! They all sound very interesting and I can not wait to check them out. I very rarely listen to bookish podcasts, but I have listened to a few of Book Riots (I can’t remember the exact ones atm) and I hope these help me get more involved in listening to them! Great list. I never know where to start with podcasts but I’ve always wanted to get into them. I might have to check these ones out! Great post, you just gained a new follower me!